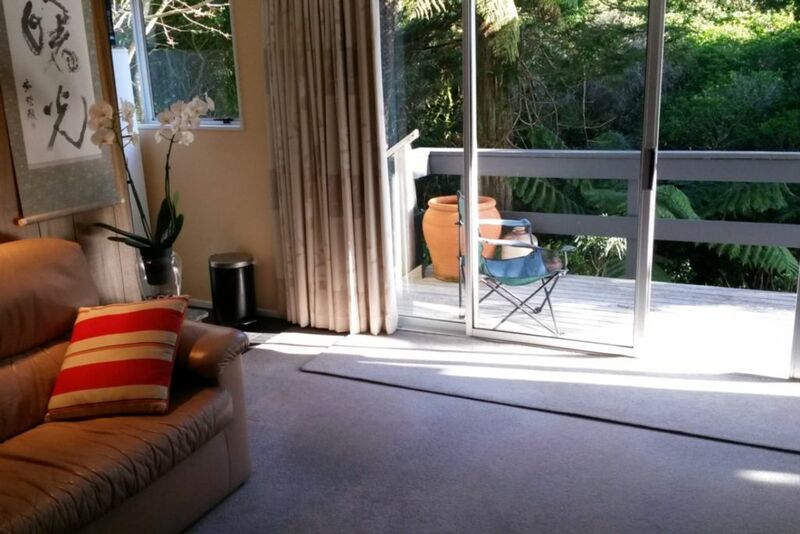 This apartment is located in a suburb of Wellington which is a good base from which to explore the many attractions of this city and surrounding area. Bush walks begin at the bottom of the garden or you can drive up to the beautiful Kapiti coast or over to the Wairarapa. The city with its museums, art galleries, cafes, retail experiences is a short train or bus ride away, There are also local shops and supermarkets. You can relax in the peaceful surroundings or be as busy as you wish. Go out to enjoy Wellington entertainment or stay in and watch Sky TV. The garden patio is available for the use of guests. Lovely place to relax with fantastic hosts. Highly recommended. Great location. Not far from the shops with a Bush walk a few steps away. Will certainly stay again. Thanks very much for your review Gary. It is always a pleasure to host you and we look forward to seeing you again. Absolutely amazing, we had to cut our stay short but the time spent there was magical. Thanks Jan for being an amazing host. Thank you very much for your review. We hope you will be able to come and stay with us again sometime in the future. What a wonderful holiday get-a-way! Bird song is a beautiful place with an amazing view. The Mt. Kaukau trail is right out the back door for those wanting some exercise. It is short 15 minute walk right into Johnsonville. The apartment is fully equipped with anything you can ask for, from laundry in your apartment to barbecue in the back yard. We will definitely stay here every trip to Wellington we make! All the facilities you need. Lovely having the tui come to visit every morning and sing.